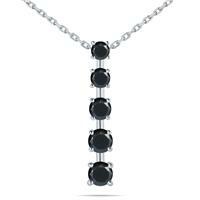 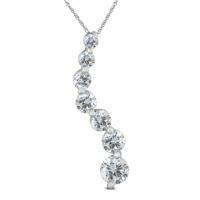 A seven stone diamond journey pendant is a jewelry collection essential. 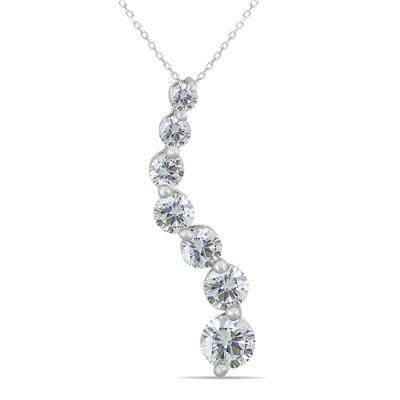 There is no better way to symbolize your growing love as you journey together through life than with a diamond journey pendant. 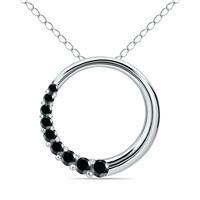 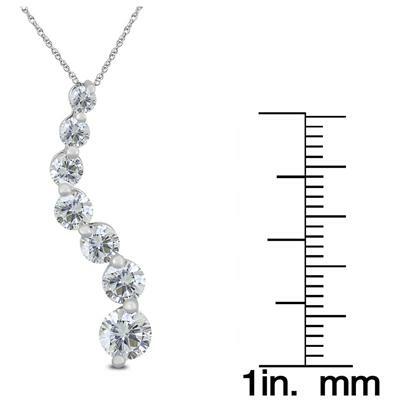 The pendant hangs from an 18 inch rope chain also crafted in 14K white gold. 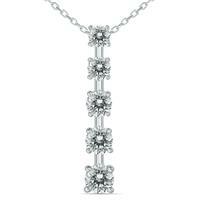 A hand matched and set diamond pendant with quality genuine diamonds set in gold. 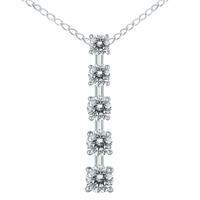 A great value for a sparkling white, genuine diamond pendant set in 14K white gold.